Happy Thursday. Today I spent the day surrounded by children! It was an exhausting day but who could complain about playing hide and seek all day and watching cartoons. But really, spending the day with kids makes you realize how amazing a child’s mind really is. In a child’s mind the only thing that matters is laughing, playing, and just enjoying life! They don’t think twice about what come out of their mouths they just say it, They don’t worry about the time or if they have to do anything productive in a day. All they care about is fun! A child can love anyone they may just meet you but within 20 minutes you’re already best friends! A child’s life is so innocent and light-hearted that they have no worries. Doesn’t this type of life sound nice! Well, I understand that once we grow up we need to accept responsibilities, become productive members of society, and live by a schedule that has more then nap time and play time in it. 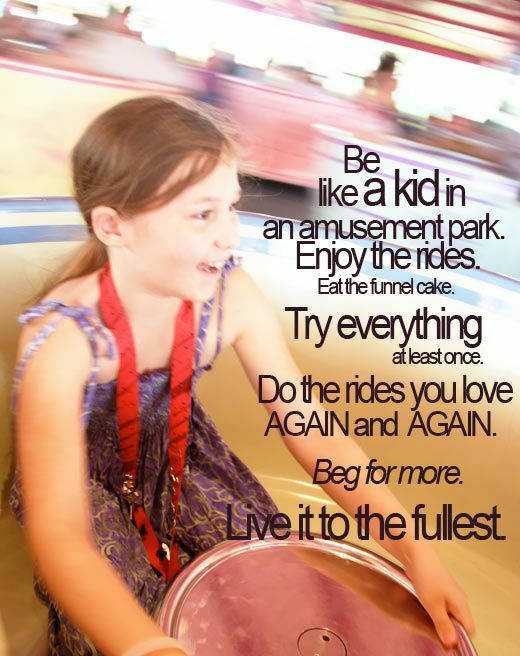 But I dare you all on your next free day to live like a child. I dare you all to go out play a game of hide and seek or tag with your friends. Schedule a good mid-day nap after a big plate of chocolate chip cookies. I want you all to live one day without thinking, just running around worrying about what fun thing you will do next. So get out there! Host a tea party! Have a water balloon fight! and Go fly a Kite! We all deserve a day filled with nothing but fun! Next ›The Wedding.. My Dream!